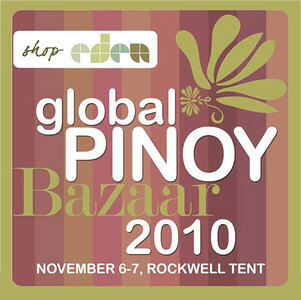 The Eden Maternity and Nursing Wear Collection by Bianca Araneta-Elizalde will be selling at the Global Pinoy Bazaar at Rockwell this coming weekend (November 6-7, 2010). They will be launching new Infinitude colors (think of denim colors and green as well as more feminine shades) as well as offering mini-bentos (sake tank top and skirt for only P2,500, with the Christmas-colored one) at the bazaar. They will also be offering their Poem Scarf in new colors. Go, go, go shop now! Cross some more off your Christmas list!